If you like this free game, try Fishdom 3. Fish lovers will love playing Fishdom - a perfect all in one match-3 puzzle game. Earn money through levels, decorate your fishdom aquarium by choosing tons of accessories and supplies and see all your fishes living happily in your perfectly-designed aquarium. Download Fishdom for free now. 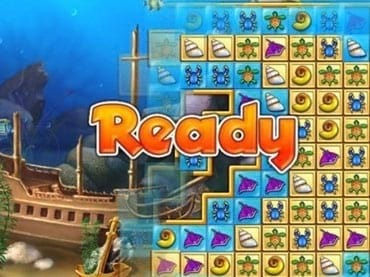 - Swap and match pieces; watch your decoration of your aquarium, in one puzzle game. - Fishdom is free full version game to download and play. If you have questions about Fishdom game, please contact us using this form.